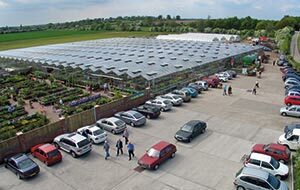 We are a proudly independent, family run Plant Nursery and Garden Centre with over five generations of growing history. We specialise in bedding plants and herbaceous perennials, produced on site by our skilled plants-people. Our plant area is home to a wide variety of plants, trees and shrubs and you’ll find friendly and knowledgeable advice on hand to point you in the right direction! Have a look inside our Garden Centre, click the image below to begin.